At my bridal shower, all of the guests were asked to make a dish and write the recipe down in a keepsake recipe box for me. 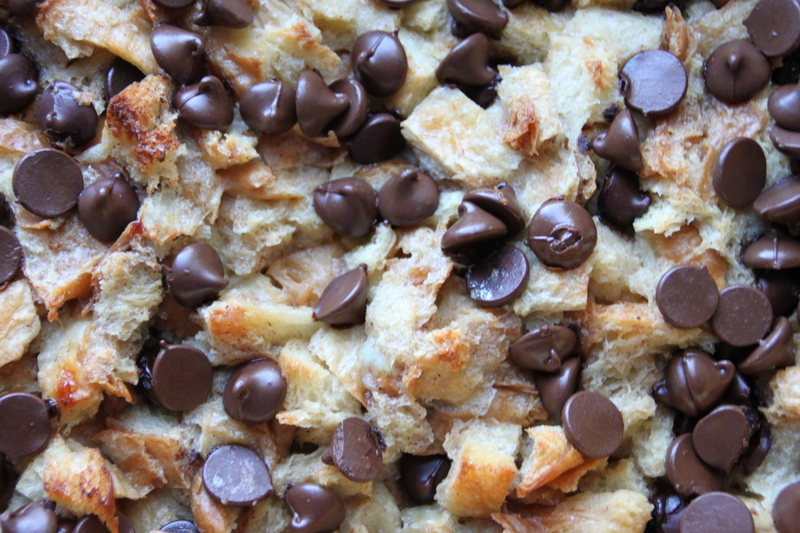 Among a dozen or so amazing dishes was this recipe for chocolate chip croissant bread pudding. Hands down the most delicious bread pudding I’ve ever had! I’ve sort of had it mind to cook my way through all of the recipe’s I received at my shower so here’s the first! 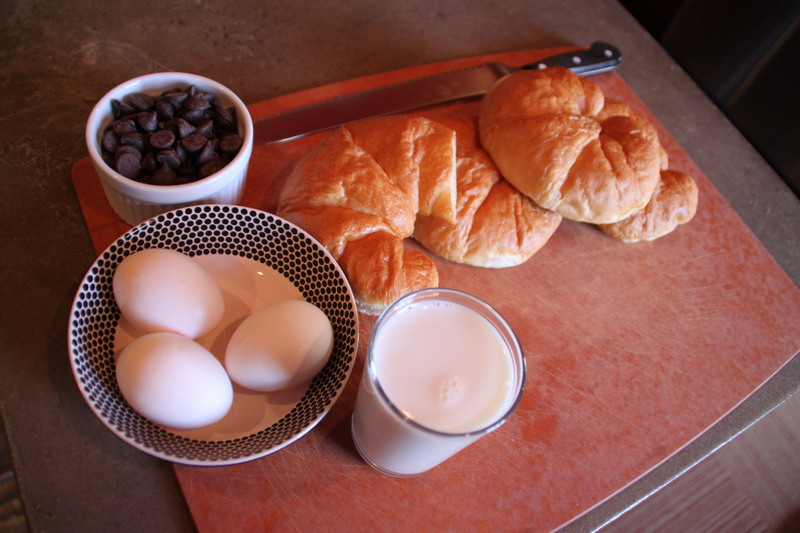 Preheat your oven to 350 degrees F. Mix croissant chunks and chocolate chips in an 8-inch baking dish. In a medium bowl, whisk together milk, sugar, vanilla, cinnamon, nutmeg and eggs. Pour the mixture over the croissants and let sit, covered with plastic wrap, for at least 10 minutes or up to an hour in the fridge. Bake for 40 minutes. Serve warm with vanilla ice cream or fresh whipped cream. ENJOY!!!! 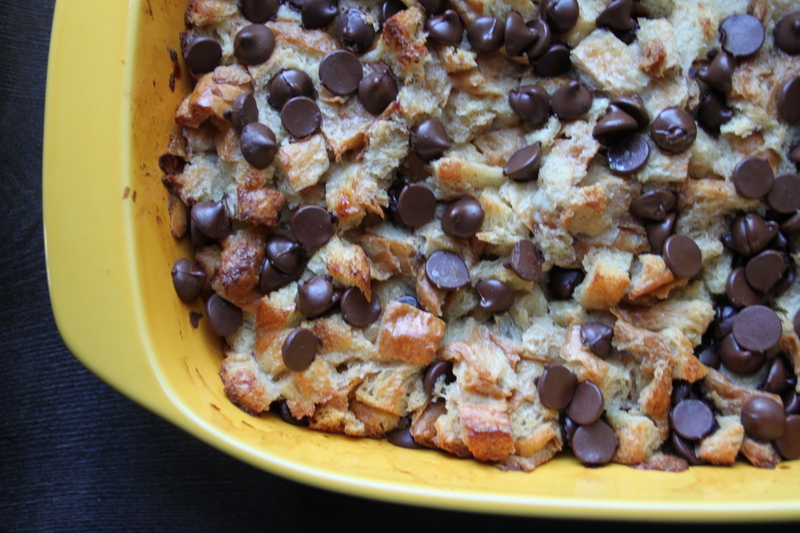 Bread Pudding looks yum and chocolaty.